Claire the Procraftinator: Up and Away! 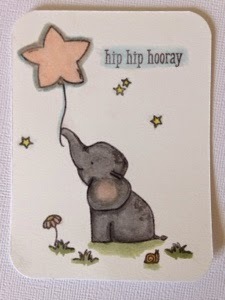 Can you get much cuter or happy than these Mama Elephant Up and Away stamps? 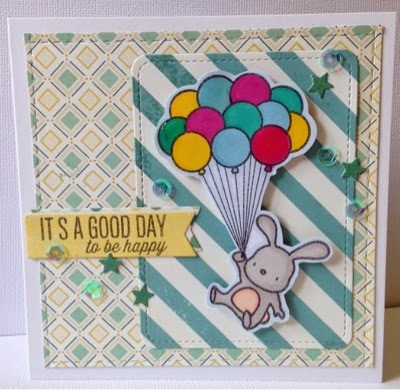 Here's a card I made last night, also using the Lawn Fawn journaling card and MME papers. Coloured with Promarkers. I also tried out my new smooth watercolour paper with Avery Elle's Ellie and Distress Inks. Pretty happy with it except the ink bled on the balloon because it was too wet, lesson learnt for next time!